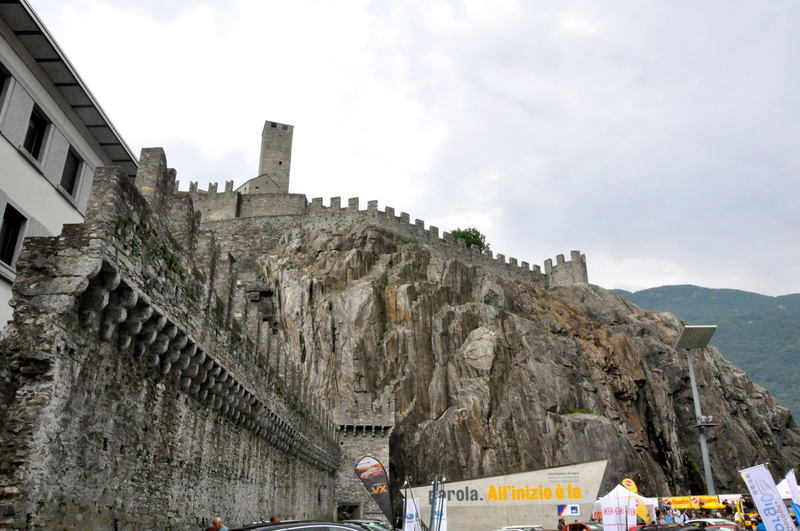 Bellinzona, located in the Ticino part of Switzerland, is an quaint medieval town. It is best known for the three castles that dominate the landscape. The castles were awarded the UNESCO world heritage designation, based on their key role in protection of an Alpine pass in medieval times. In my recent Castles in the Sky post, I explained that castles were built at elevations for defense. 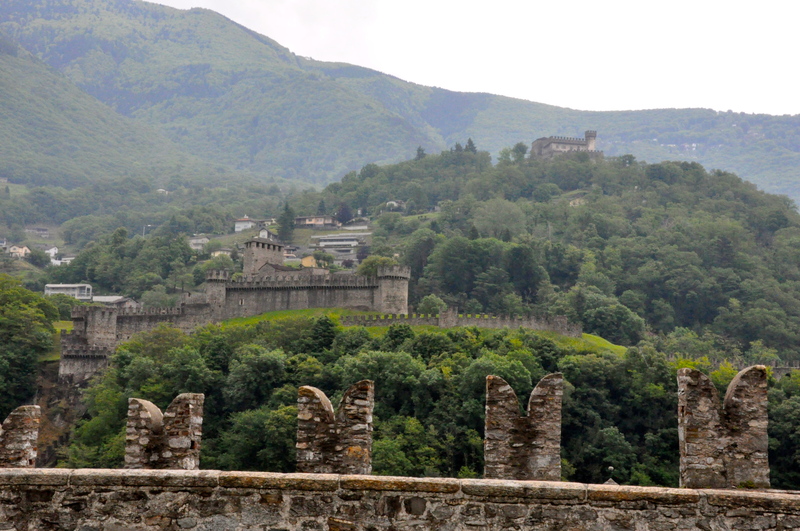 In Bellinzona, there are three: Castelgrande, Montebello, and Sasso Corbaro. We were limited on time so just explored Castelgrande. Luckily for me, there is an elevator that shoots you straight up through the castle to the inner courtyard. This is a godsend since my feet aren’t in hiking condition yet. Visiting the other two is a much more significant effort in walking / climbing. Yup, its pretty securely built on this rock. 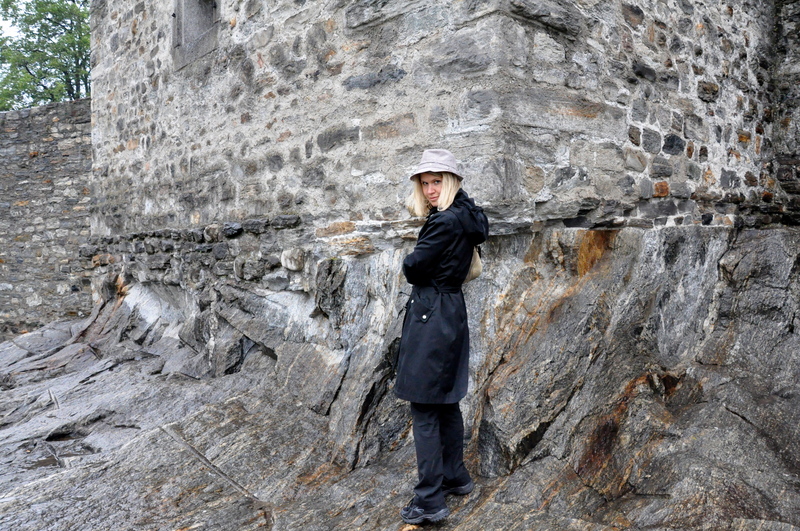 We admired the view to the other castles. We were hungry and it was starting to drizzle. 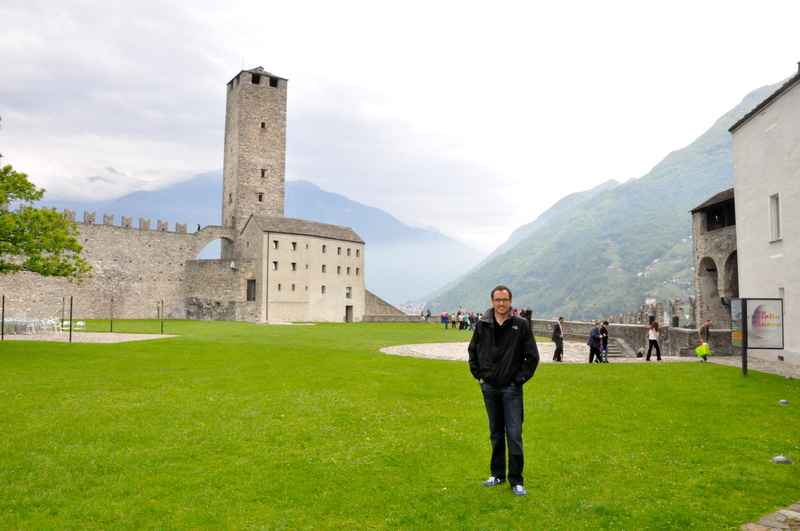 We decided to dine inside the castle where we had read that there was a great restaurant offering Ticino style meals. Since it was Italian style, we decided to continue the trend of ordering two courses, a primi pasta course and a secondi meat course. This was a mistake, at least for me. The first courses came out huge. Oops. However, it was so delicious, I finished every bit of my taglietelle with Ticino ragu. And Gabe finished his gorgonzola gnocchi. Sorry that I didn’t get a picture before we ate it. Eating inside of a UNESCO castle. The sauce that once contained gnocchi. The meat courses were equally as good. Gabe almost finished his veal piccata. I didn’t come close on my beef. I vowed that I wasn’t going to order Italian style anymore. 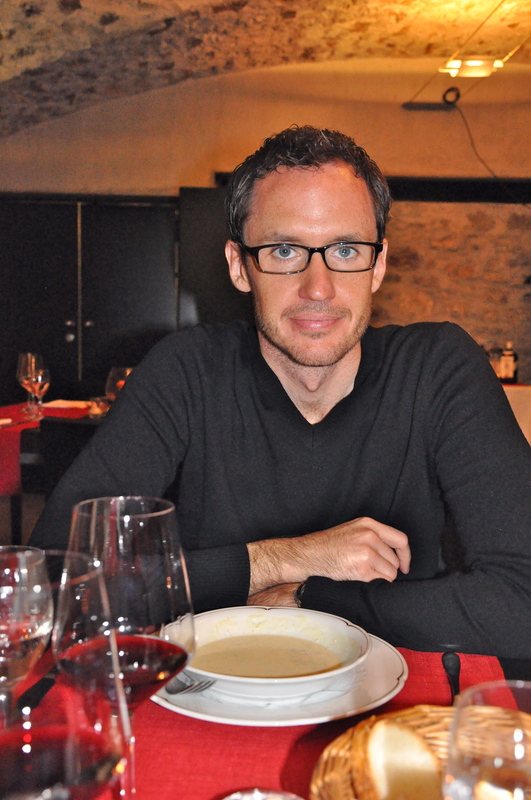 I would have been just as content with only a pasta course. The ride home we were stuffed. However, all in all, we were impressed with the Italian Switzerland cooking. It was just as good as Italy. It was already 2pm, so we decided we better head home. Especially since we weren’t 100% sure how to get there. 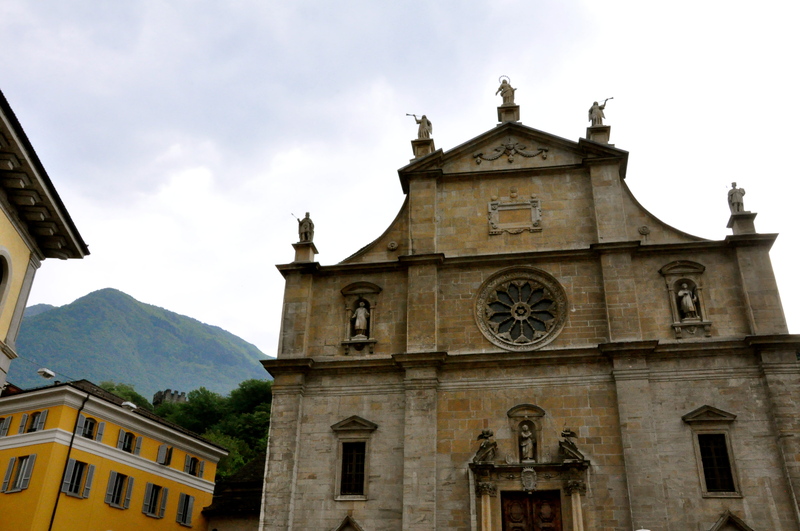 This entry was posted in Cute Towns, Daytrips from Geneva, Food, Wine & Beer, Spring, Travel: Within Switzerland, UNESCO sites. Bookmark the permalink.